In each match, our judges will score each team from 1 to 10 based on how convincing the argument is along with its entertainment value. The top two scoring teams will have a final match against each other to see who the master debaters really are! There are also rules to this event as well as topics you will be arguing for or against. You can read those at the bottom of this post! 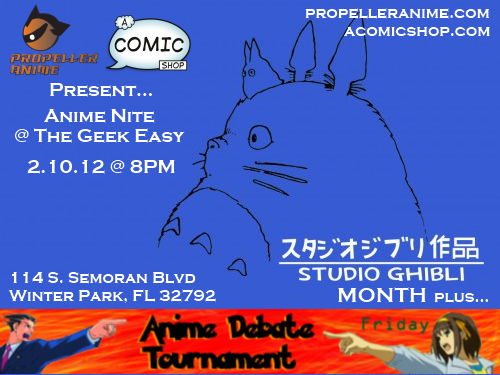 Anime Nite @ The Geek Easy is FREE and starts at 8PM. Moreover, you can bring in wine and beer to drink but you must be over 21 with I.D. in order to do so. 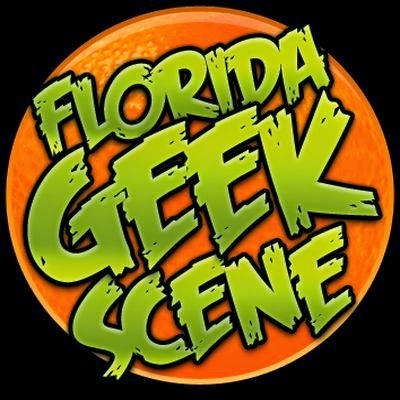 The location as always is at A Comic Shop, Orlando’s favorite comic book store, located at 114 S. Semoran Blvd Winter Park, FL 32792. If you and your friends are interested in forming a team and participating, make sure you are at A Comic Shop on the night of the event at 7:45PM to sign up. Debate teams will be formed before the event and will consist of three (3) members each. Each match will have a proposition team and an opposition team. Arguments in debates must be informed and use the truth. One person speaks for their team at a time when it is their team's turn to debate in a match. You can change to another speaker on your team during your turn, but you have to announce the change. Speakers don't have to use their allotted speaking time, but they may not exceed it. Name calling and insulting will not be tolerated. No yelling during the match or interrupting other speakers when it is their turn. Judges will score the teams based on the structure and entertainment value of their argument. 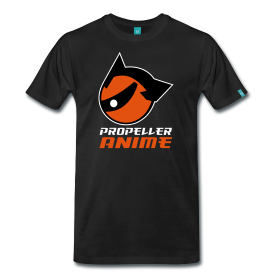 Topics will be related to Japanese anime, manga, and fan culture.